GOAL: Show AvaGirl’s and/or AvaBoy’s clothing AND the sim Dreamy Island at it’s best! – Items purchased at the Outlet Village below 50L$ do not apply. Fill it out – do not forget to drag your picture in full perm onto this entry-notecard! – and drop it into the mailbox at the mainstore’s square (next to the bulletin board), simply by dragging the notecard from your inventory onto the mailbox. 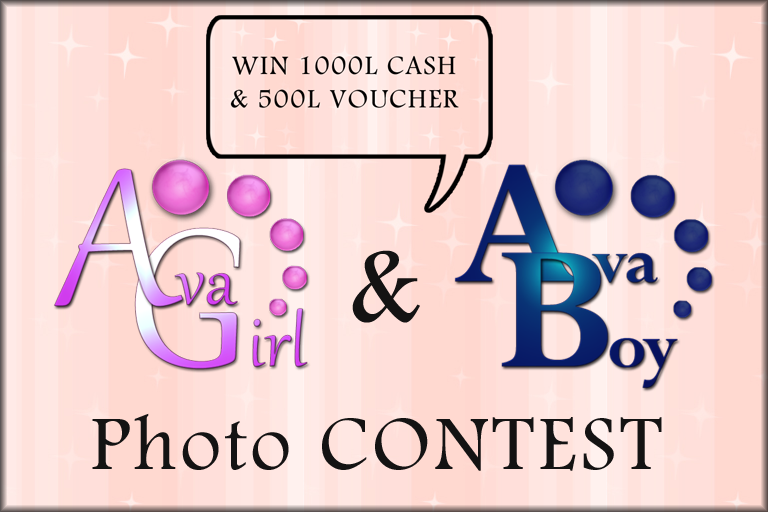 Feel free to join AvaGirl & AvaBoy group on Flickr and add your picture there. * Lilac Niven & Ithinkthisisa Cooljoke are the judges of this contest. Their decision will be final! However! People can help us to decide by voting on your picture! When you enter your picture, your picture will be displayed at the mainstore square and people can vote on your picture once! Winners will be announced in the week after this contest is over in AvaGirl and AvaBoy Group and will be contacted personally.